In the front can process,rollback and inspect fabric effectively; the behind can loose fabric and fold fabric neatly. Configuration of an imported frequency converter, rapid response and fast effect. With the precise yardage counter,it can exactly calculate the measurement of fabric.Also, it the yarndage counter can be changed to meter counter as buyer's request. Automatic edge function : configuration of automatic edge fabric system / Intelligent edge controller, which can make fabric tidy and beautiful after inspection. 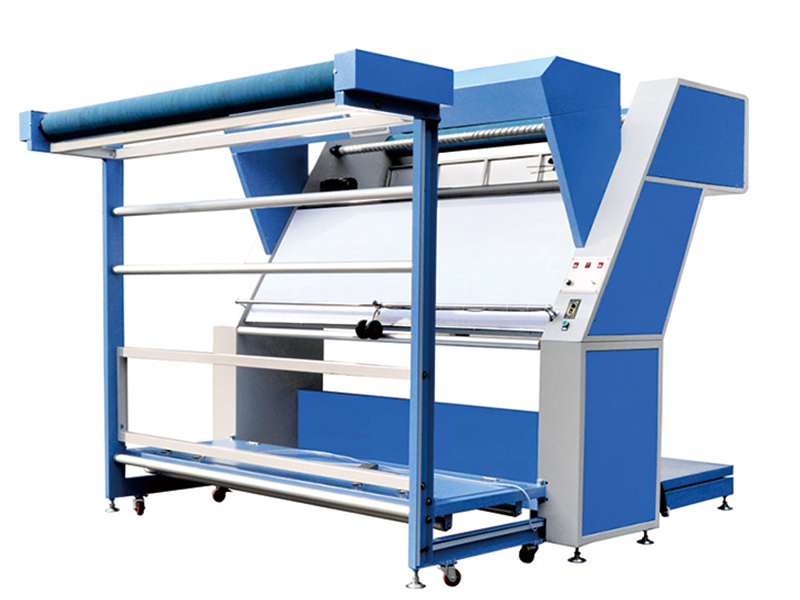 Either for fabric inspecting machine use alone or for fabric loosening machine use alone. It can make the loose fabric become loose, especially suits for large roll fabric's inspection or loosening. Use foot pedal or contorl panel to control , easy and flexible to operate. This machine is equipped with versatile casters, easy moving. It's suitable for the fabric inspection or loosening, such as modern garment processing, bedding processing, fabric raw products and other industries.